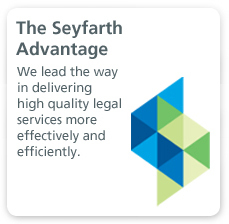 At Seyfarth Shaw, we are committed to playing an active, positive role in the communities in which we work and live. We believe that leadership means taking the initiative to help our fellow citizens. As the firm has grown, our opportunities to give back to our communities also have increased. We take a holistic approach to giving back to our communities by integrating our pro bono legal services, charitable giving, community service and sustainability activities. We have a Pro Bono & Philanthropy department, which consists of a partner and coordinator who dedicate their time to promoting and managing these programs. Our approach is an example of how we carry out our core value of innovation, and we believe it is unique among large law firms. Our programs follow our guideposts of Compassion, Action and Impact: we care about our communities and our planet, so we take action to preserve and improve them, with our goal being to make a meaningful difference in people’s lives. To view our innovative and interactive report of our pro bono and philanthropic activities, Focus on Philanthropy or to view a five-minute video excerpt from the report, please click on the links at the bottom of the page. Compassion > Action > Impact. 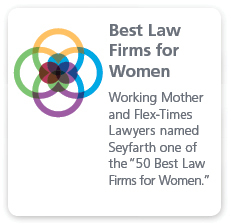 Through our individual and office-based pro bono, charitable giving, community service and sustainability activities, we demonstrate that the Seyfarth Shaw name stands for more than superior legal services. Our commitment to giving back to our communities is a testament to the firm’s culture and core values. To learn more about the firm’s pro bono, community service, charitable giving or sustainability programs, please contact Pro Bono & Philanthropy Partner Allegra Nethery at anethery@seyfarth.com or (312) 460-5523 . 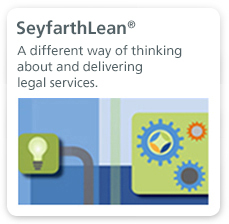 Seyfarth lauded for achievements in business of law, crowdfunding and social responsibility.